Savage Arms, now part of Vista Outdoor, will be offering many new guns for 2016. 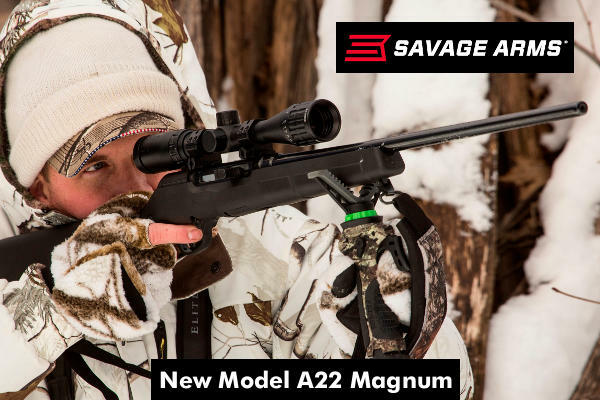 The big news is the A22, a .22 WMR version of Savage’s popular A17 semi-auto rifle (chambered in 17 HMR). Also debuting for 2016 are more variants of A17 and B.MAG rifle series, plus as all-new Model 42 Takedown shotgun-and-rifle combination gun. Along with the all-new models, Savage will add new chamberings to existing rifle types. For example, Savage AXIS and AXIS II rifles will soon be available chambered for the popular 6.5 Creedmoor. The new A22 Magnum is chambered for .22 WMR (Winchester Magnum Rimfire) and features the same, innovative delayed-blowback, semi-automatic action as the original A17 (which was chambered in 17 HMR). We expect the new A22 to be popular with varminters who prefer to shoot a bigger, heavier bullet, or who find .22-caliber barrels easier to clean. The Model 42 Takedown is a break-open combo gun that fires rimfire rounds from the top barrel and .410 bore shotgun shells from the bottom. It breaks down with the push of one button and includes an Uncle Mike’s Go Bag for transport. New-for-2016 A17 target models feature heavy barrels for increased accuracy and gray wood laminate stocks improved feel and handling. We feel the new laminated stock really improves tha A17 as a general purpose varmint gun. 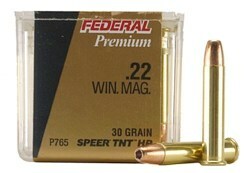 Savage’s B.MAG was built around the 3000 fps 17 Winchester Super Magnum rimfire cartridge. For 2016, three new models have been added to the B.MAG lineup: Target Beavertail, Heavy Barrel, and Sporter. Savage Arms has added nine new rifles chambered for the popular 6.5 Creedmoor cartridge. They include the new model 16 Lightweight Hunter, AXIS, AXIS LH, AXIS XP, AXIS XP Camo, AXIS XP Stainless, AXIS II XP, AXIS II XP Stainless and AXIS II XP Hardwood. Savage’s new-for-2016 products can be viewed during SHOT Show at the Vista Outdoor booth (#14551). Product photos and specs will appear on SavageArms.com after the show. Share the post "Savage Arms Announces New-for-2016 Products"